I am extremely happy and excited every time I read about a new “wedding” on “Blogger say I do!” series! It is such an honor that amazingly talented wedding bloggers are sharing their thoughts on how their imagined or re-imagined wedding would be! 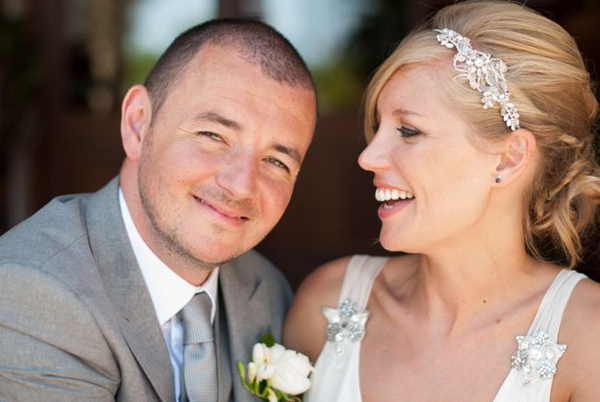 Today I have the pleasure to share with you the re-imagined wedding of the lovely Jemma from You Mean The World To Me, a wedding blog that brings brides all the help and worldwide inspiration they need to create the perfect destination or UK wedding day! 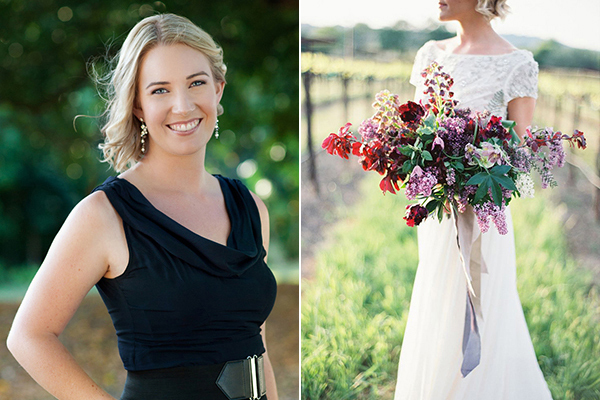 Are you ready for some seriously swooning? I am! My hubby and I had always dreamt of getting married abroad. We can’t even remember when we first discussed it, it wasjust a given that that’s what we do. Both of us love the sunshine and if we could permanently be on holiday we would (!!) so a destination day somewhere warm was the perfect choice for us. We didn’t have our hearts set on a specific location but we wanted guaranteed sunshine somewhere in Europe, so that our guests wouldn’t have to travel too far. We stumbled across a wedding planner and somedivine looking venues in Ibiza whilst we were searching online and the next thing we knew we were jetting off to The White Isle for a long weekend to check it out – any excuse for another holiday! 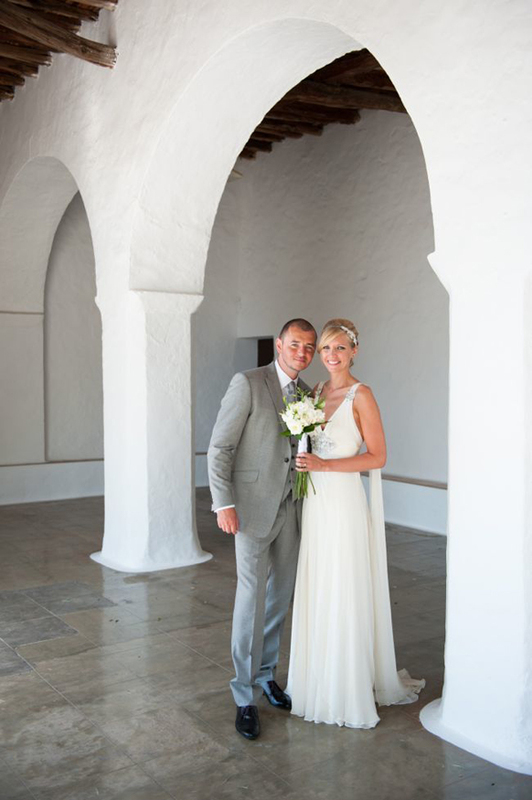 We instantly fell in love with the typically Spanish villages and an authentic rustic venue in the north of Ibiza and we knew that we had found the place for our wedding. The wedding day itself was perfect, I truly loved every part of the day, there’s honestly nothing I would change! However, since I started blogging about destination weddings a year after my own big day I uncovered a whole new world in terms of wedding details! I hadn’t come across any blogs that focused purely on destination weddings (which was why I launched You Mean The World To Me ) and so I didn’t read that many wedding blogs when I was planning my own wedding. I created a cohesive theme and included loads of personal details and I even did some DIY elements, but they were all purely my own doing and ideas that I had come up with myself. Once I launched my own blog and I started reading wedding blogs a lot more, I was transfixed by all of the chic and unique ideas out there and creative ways to stamp your personality onto your wedding day. 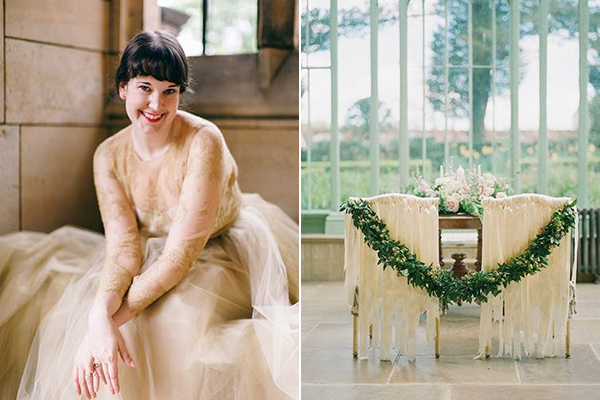 There was a whole world wide web of wedding pretty and original ideas that I hadn’t discovered in the run up to my own wedding. 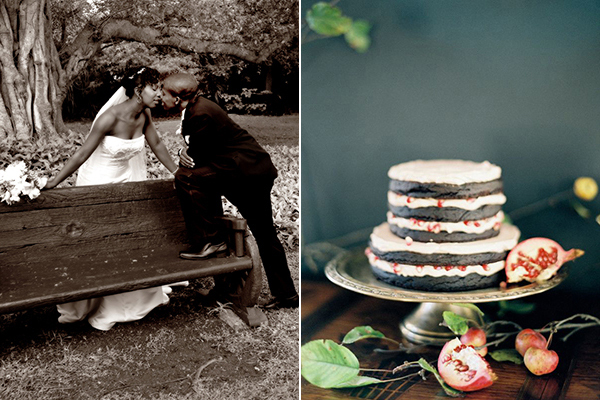 So the way that I would re-imagine my wedding would be to seriously go to town with darling details! There’s so many special touches that I now know about and love that I would have without doubt added into our special day. Here are a few extras that if I were given the change to go back in time I would ensure that they made an appearance! 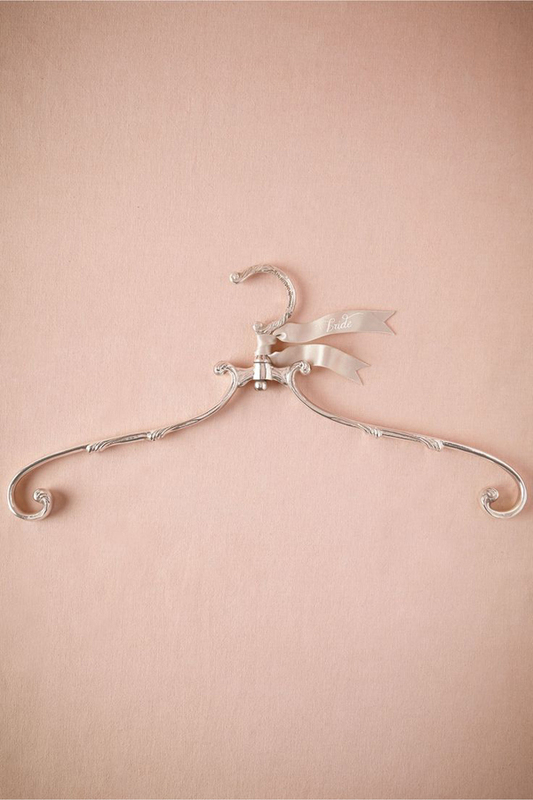 I love the selection of hangers that are available for your wedding dress – they are beyond-beautiful and I wish my gorgeous gown had been displayed on one of these pretties for the photos on my wedding morning. As I was getting married abroad and it was going to be hot weather I thought I would be more comfortable in summer clothes than a fluffy robe on my wedding morning. 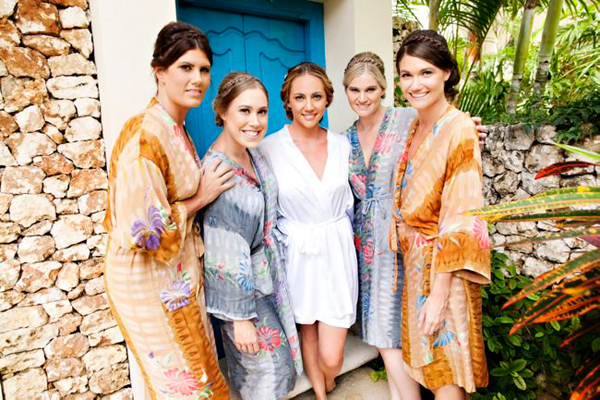 Now I have seen some lovely lightweight and floral robes, I would 100% pick out some pretty patterned numbers or romantic blush robes for me and my maids if I could go back and do it again. We didn’t have confetti! I know, I know, it’s a wedding day must! 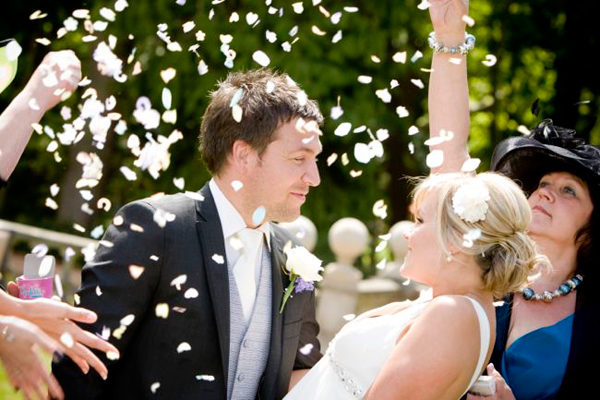 But with the wedding being abroad I had it on my list to check what kind of confetti (if any) that could be used outside of the church where we were getting married and it was just one of those things that simply got lost along the way and I didn’t organize. 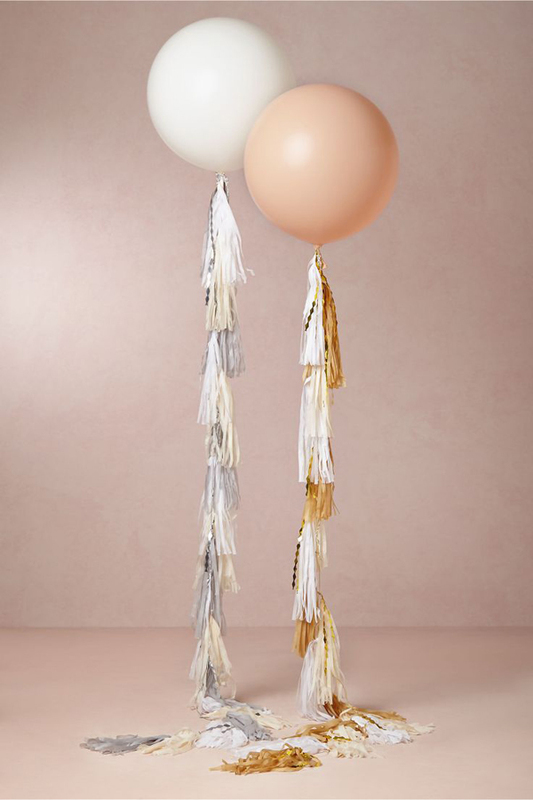 Giant wedding balloons create such impact and a touch of whimsy and I simply adore the ones with colourful tassels. I would have as many of these big bold beauties as the budget would allow! Our wedding cake was so lip-smackingly scrummy; I can taste it now just thinking about it! Well actually, when I say wedding cake it was in fact a three-tiered orange blossom and Madagascan vanilla bean baked cheesecake stacked with fresh strawberries and surrounded by white chocolate swirls. YUM! 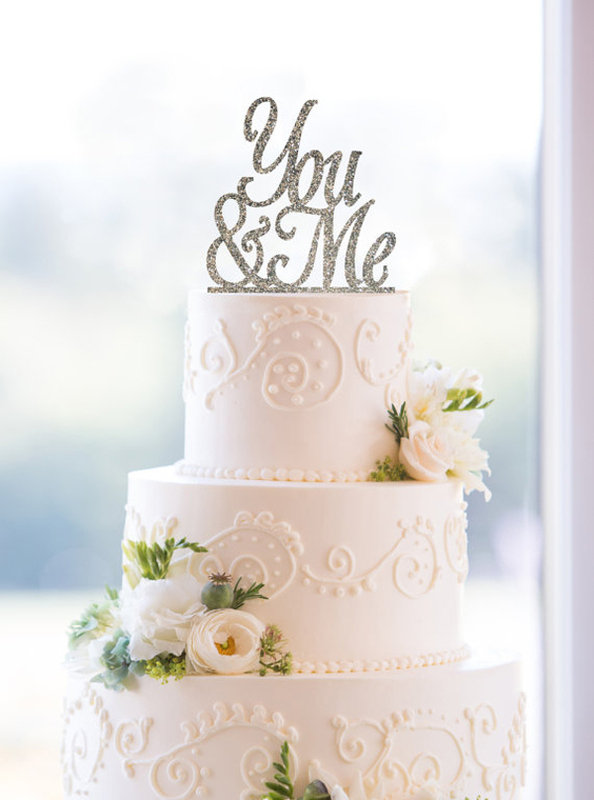 What I wish I’d added to this tasty treat is a fabulous sparkling cake topper to have made it a real showstopper. Jemma your lovely ideas have made our hearts so happy! Thank you so much for sharing! 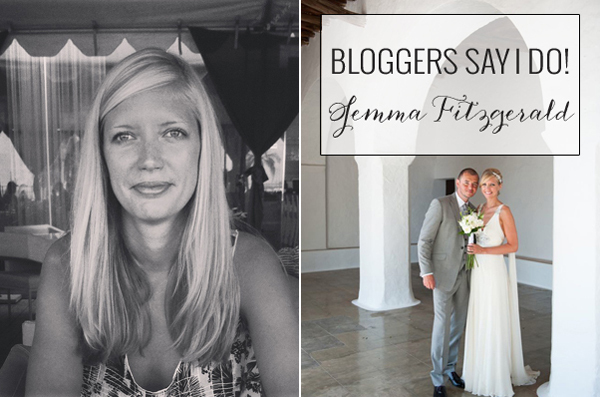 And to all you wanderlust brides to be, make sure you stop by Jemma’s blog, where you will find gorgeous worldwide real weddings and so much more! Thank you Jemma! 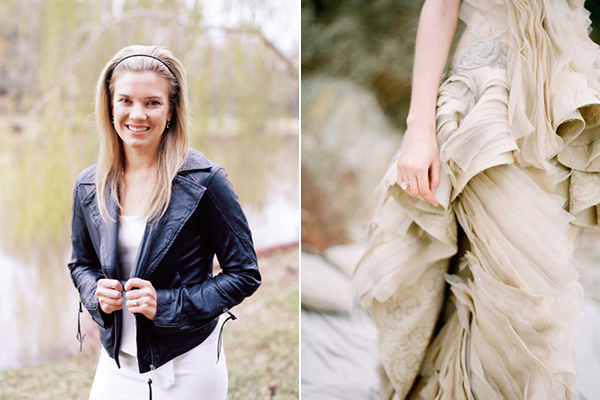 Loved reading about your wedding ideas and your wedding photos are so beautiful! 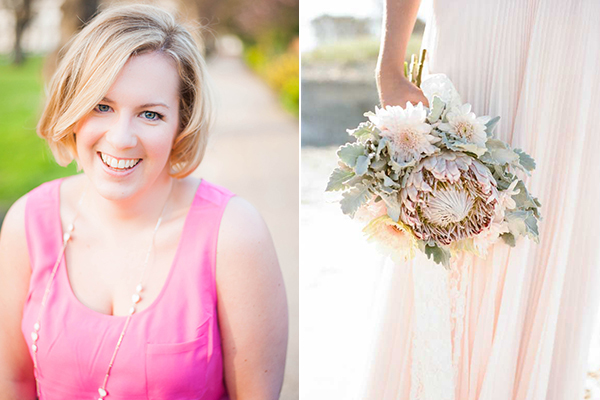 Thanks so much for asking me to be a part of this lovely blog post series Eleni!